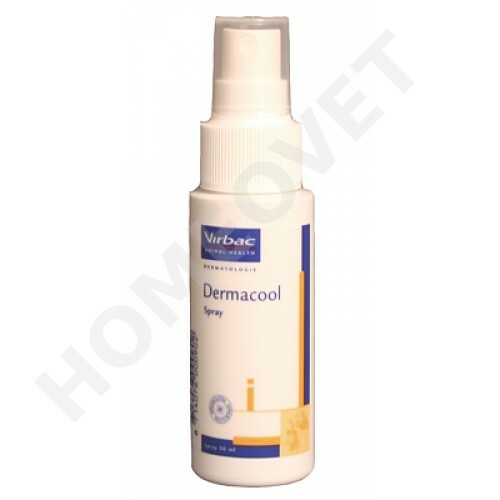 Dermacool is a handy pocket spray that can be used for small areas of iritated, itchy skin in dogs and cats. Based on Hamamelis(witchhazel) extract and Benzalkonium chloride. The ingredients are encapsulated so that they will slowly release, helping to keep your dog itch free when sprayed twice daily. This spray will have a drying effect on moist lesions. It cools and soothes. Spray directly onto the affected skin area. two - three times daily .